Wildlife communities in Massachusetts benefit from a diversity of forest habitats, including mature, closed canopy forests and early successional (open canopy) forests. Early successional forests are particularly great for many species of birds, who can find abundant food and shelter in shrubs and tangles. 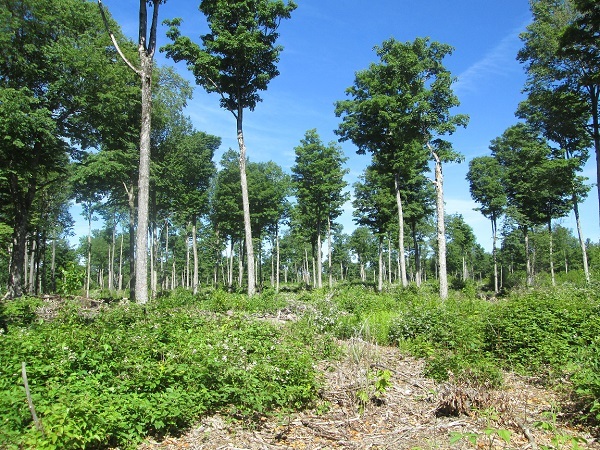 Young forests like these may be created from natural disturbances such as fire or storms, or be a product of forest management activities. Abandoned agricultural fields that are becoming woodland are also prime habitat for birds. 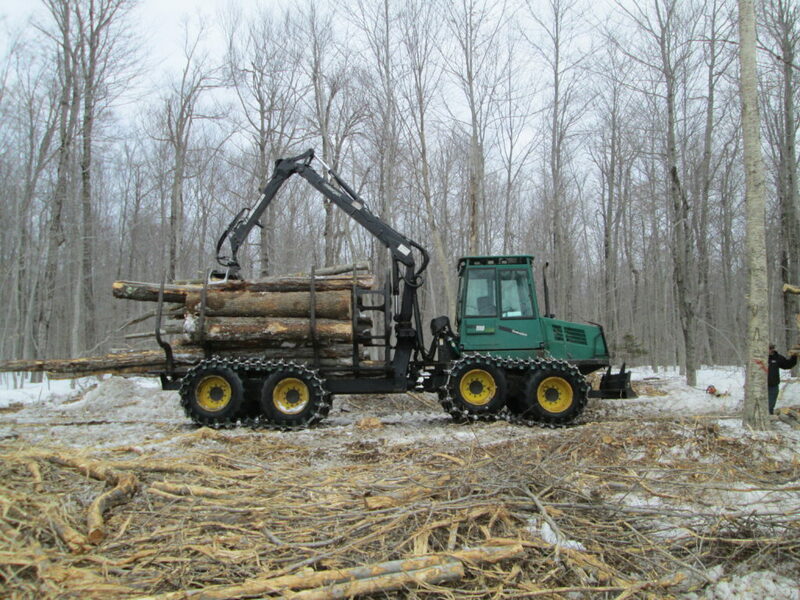 There are a variety of programs in Massachusetts to support foresters and landowners who are interested in exploring how forestry can benefit wildlife species. 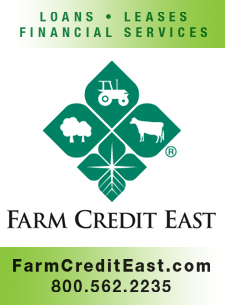 Foresters for the Birds is a DCR, Mass Audubon, and Mass Woodlands Partnership to train foresters so that their management plans meet the landowner’s needs with regards to wildlife. Landowners working with a forester to manage their woodlands are eligible to apply for grants. MassWildlife offers a habitat grants to landowners to help manage land for habitat, as this is not always a profitable management strategy. 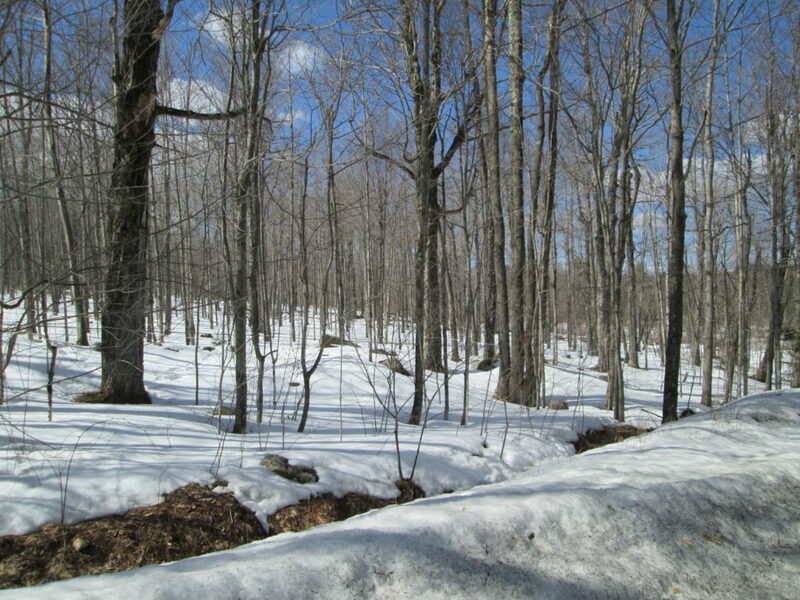 MassWildlife also manages some of its own land holdings for habitat purposes. MassWildlife Photo courtesy of Bill Byrne. 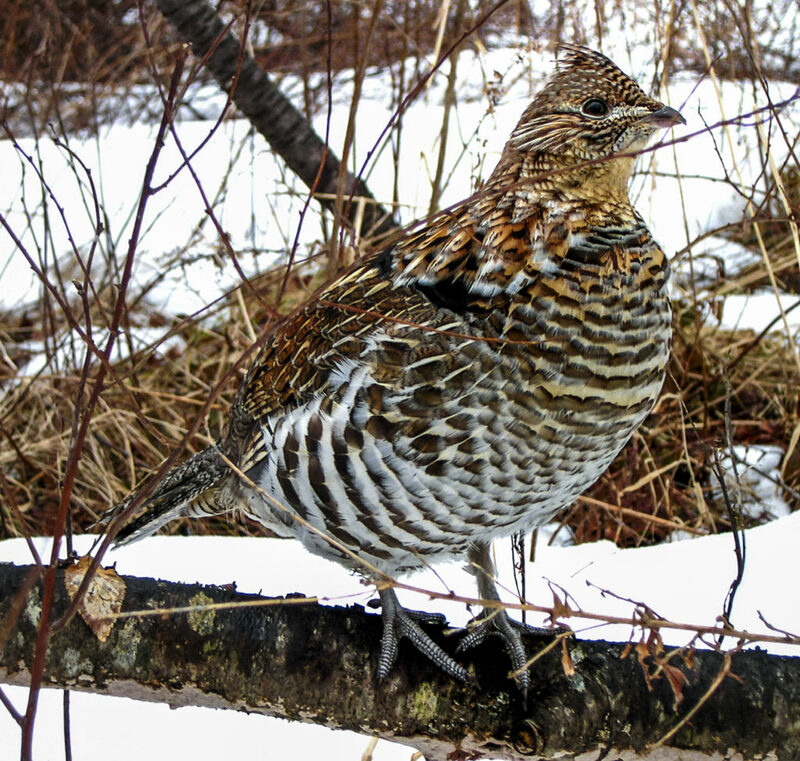 The Ruffed Grouse enjoys habitat with open canopy and lots of shrubs and small trees.